Community Groups committed to the protection of urban bushland and approved by the Urban Bushland Council may be admitted as members. To qualify for UBC membership, Groups must have an appropriate interest in urban bushland and have their applications approved by the UBC. The Group will also need to provide its Aims and Objectives (if the Group is an incorporated Association, enter that shown in that Group’s constitution). 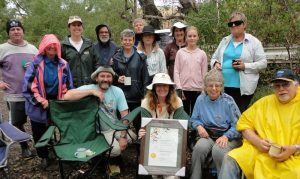 Member Groups have the opportunity to participate in all Urban Bushland Council activities. They are entitled to attend all Council meetings and activities. Member Groups are entitled to cast a single vote on each issue recommended for Council resolution. 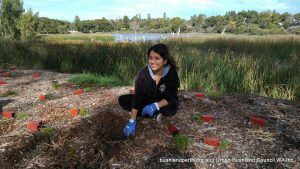 Individuals can join for a fee of $35 per year (incl GST) which entitles them to attend Urban Bushland Council activities. Supporters may attend activities and meetings, but have no voting rights. 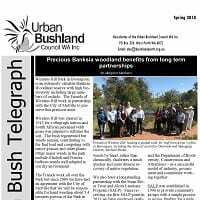 The Urban Bushland Council usually produces four Urban Bush Telegraph newsletter per year. Electronic colour copies are provided free via an email link or at the UBC website. Black and White hard copies of the newsletter can be posted to your mailing address for a fee of $15 per year.